A bronze sculpture of a young woman from pre-Celtic era, standing on a low rock. She faces north, so that her shadow at mid-day falls on a rock positioned a little distance away. Her two hands make a diamond shape with the index fingers and thumbs and this shape will be projected onto a bronze strip set in the rock. The theme chosen was the Beltany Stone Circle, a 6,000 year old megalithic monument, connected with ritual worship of the Sun. The artist has designed a female bronze figure holding her hands out to cast a shadow on a bronze strip set in a rock. Modelled in clay over a steel armature, silicone rubber and fibreglass moulds were made of the forms. Wax versions were made using the moulds. The wax patterns were dipped in a silica slurry over a few weeks to build up a thick ceramic shell. When ready the wax was burned out of the ceramic shells. Molten bronze is poured into the ceramic shells. The bronze sections were cleaned and welded together to form complete sculptures. Commissioned under the HEART project and supported by Donegal County Council Public Art Program under the Per Cent for Art Scheme. A bronze sculpture of a young woman from pre-Celtic era, standing on a low rock. She faces north, so that her shadow at mid-day falls on a rock positioned a little distance away. Her two hands make a diamond shape with the index fingers and thumbs and this shape will be projected onto a bronze strip set in the rock. 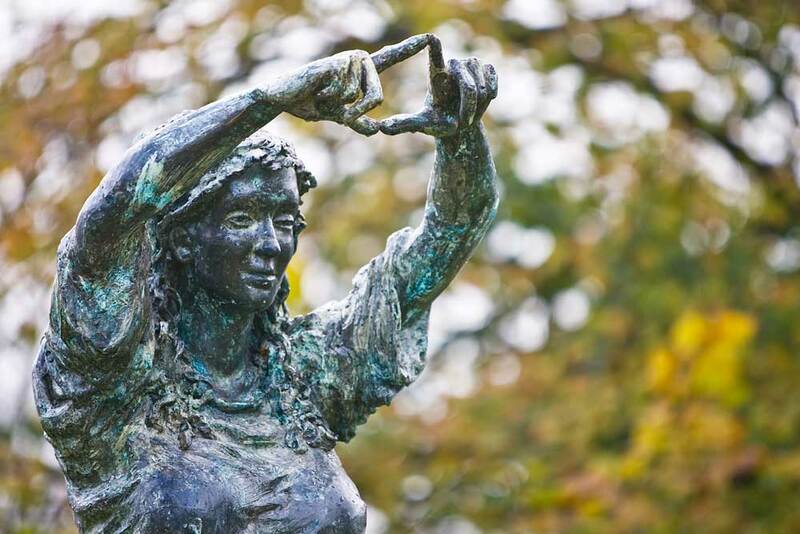 The sculpure is located in the town of Raphoe, in the grass area of the Diamond. 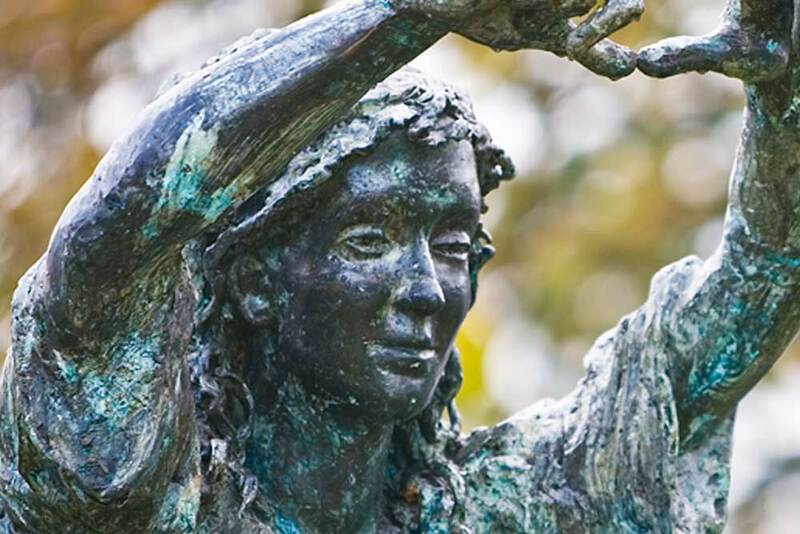 Born in Derry in 1946, Maurice Harron has produced major public artworks in Cities and towns throughout Ireland, UK and America. The works are all site-specific, inspired by the cultural, environmental or heritage of the locations.